How to reproduce: Open the provided file, or create any F-Curve that uses the "Stepped" modifier as the 2nd or lower modifier in part of a stack. Expected behavoir: The F-Curve shown should resemble a sine wave, but flat over every interval of 4 frames. 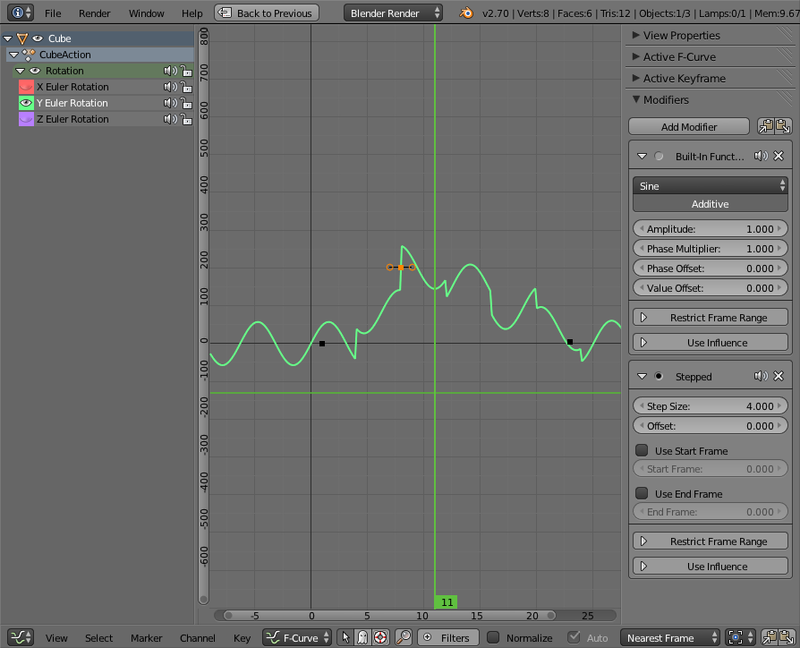 Instead, it looks as though the sine wave function was being carried out after the stepped modifier. The "Stepped" modifier, being last in the stack as shown, does not appear to read the result of the first sine wave modifier. The problem is the same for noise and generator modifiers as well. 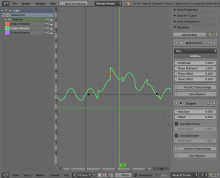 This makes it problematic if an animator wants to "step" any kind of noise or function in the f-curve. Sam Brubaker (rocketman) added projects: BF Blender, Animation. Certain modifiers do work in a stack; the envelope modifier for instance will deform a sine wave function, but a sine wave function can also come after the envelope. It occurs to me that many modifiers are only additive or multiplicative so stack order is easy to overlook. Also, there's still no buttons for changing the stack order in f-curve modifiers as there are in the mesh modifiers. Perhaps that ought to be fixed as well!